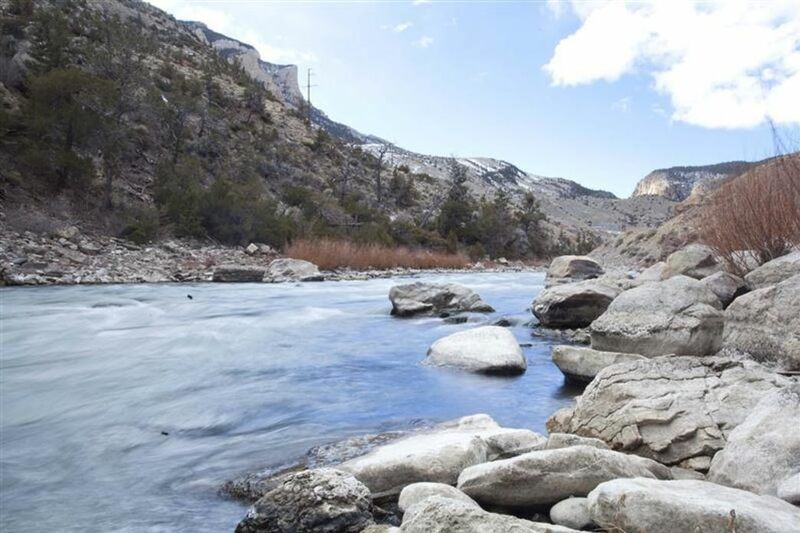 The wild waters of the Shoshone River as it careens through the boulders of the canyon just below the dam make for some exciting, as well as excellent, fishing. The Buffalo Bill Dam impounds both the North and South Forks of the Shoshone River. When it was finished in 1910, this dam was the largest concrete structure in the world. The release of the deep, cold waters of the reservoir create a tailwater fishery that’ll knock your socks off. Plus you can’t beat the scenery. 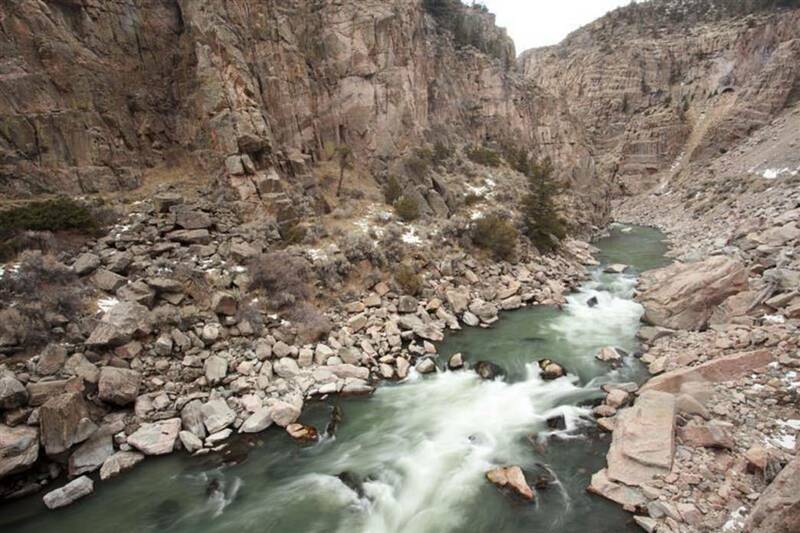 Steep canyon walls on either side, big water and boulders will keep you occupied if the fishing doesn’t. Incredible scenery and excellent angling will keep you coming back for more. The Lower Dam Road (also called the Hayden Arch Bridge Road) has excellent access and fishing opportunities along its entire length. This is fast water where brown, rainbow and cutthroat trout thrive. Angling along the Lower Dam Road is good from April 15 - November 15. The water quality is excellent since there aren’t any irrigation return issues, and the water is cold and fast. The towering canyon walls block the sun for much of the day along the road, so this can be a cooler spot to wet a line than some of the local lakes in the summer. That lack of sun creates a lot of ice when it’s cold plus the rocks and boulders can be unstable. Exercise caution. The Lower Dam Road can be an isolated spot despite being a quick ten minute jaunt from downtown. You don’t have to drive for miles just to get in some excellent fishing. If you’re short on time, you’ll appreciate the closeness of this fishing experience. The Lower Dam Road is actually the original highway into Yellowstone before the current highway and tunnels above were bored. As you get closer to the base of the dam you’ll walk through two very narrow tunnels, designed to fit one Model T at a time. The road was subject to lot of rock slides, flooding and snow slides, which is why the current highway was eventually constructed. 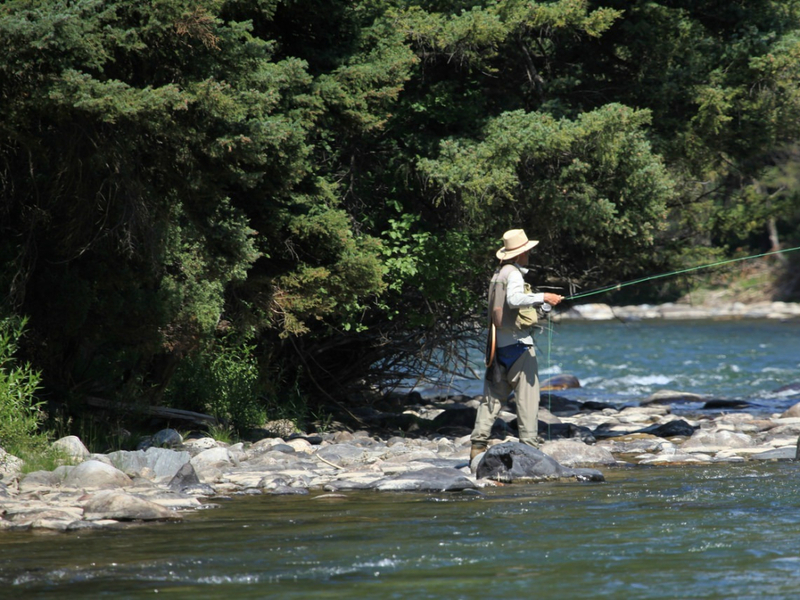 Experienced fly fishermen will enjoy the waters along the Lower Dam Road, but it’s not the best spot for beginners, unless you have a local guide to help you negotiate the big water. From Cody, take US HWY 14/16/20 west 6 miles to the Hayden Arch Bridge turn off, which is on your right. There’s parking on either side of the bridge, enough for 2-3 cars. The Lower Dam Road itself is about 1.5 miles long and there is good fishing access all along the route. There are no fees, and you might not have cell service further up the canyon. Leashed pets are permitted. Don’t park in front of the gate. Power plant workers do travel the road. There are no restrooms or water along the road. Be respectful of the fish resource. Understand and practice best catch and release techniques to help maintain wild fish populations. 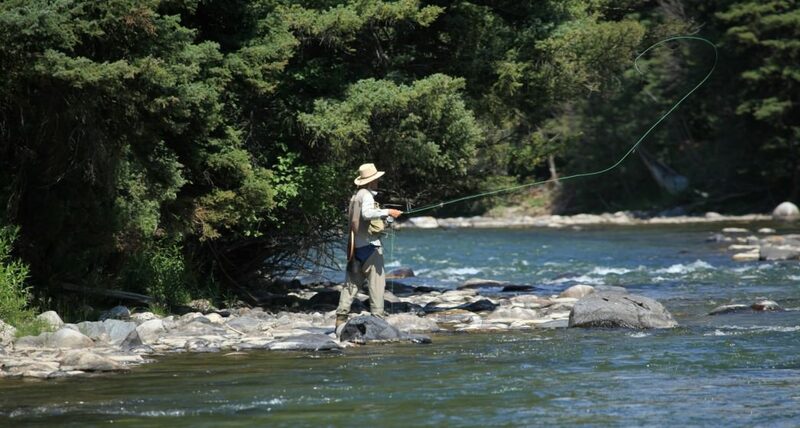 Check at North Fork Anglers in Cody for current conditions as well as regulation updates.